You can’t really have a discussion about the Go-Bots—the 1980s cartoon and toy line—without talking about the Transformers. The Go-Bots hit the scene at the same time as the Transformers, with the “Robots in Disguise” taking off in a manner Go-Bots just never did. 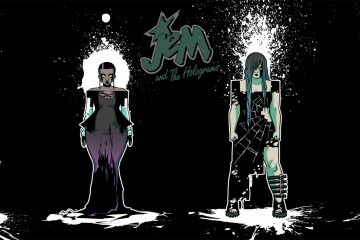 While both concepts were similar, one took off with the public more so than the other. 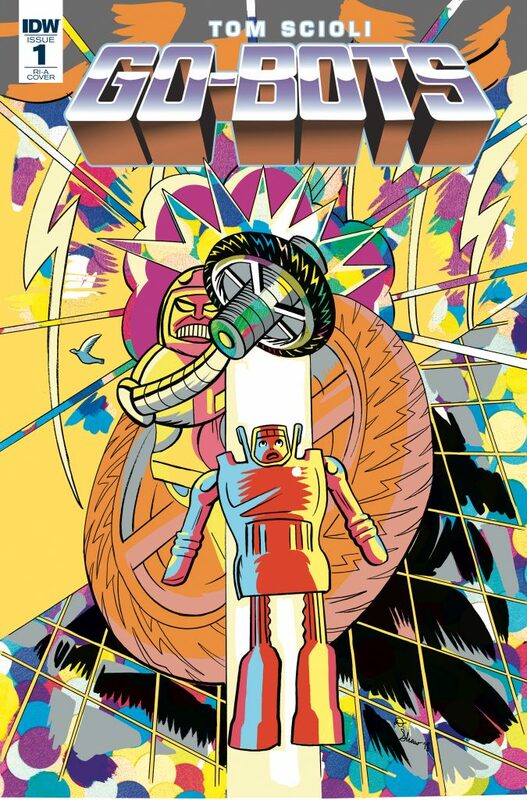 Which, in a way, is a good thing for Thomas Scioli, who is writing and drawing a new Go-Bots miniseries for IDW Publishing, debuting this week. Having worked on IDW’s Transformers vs. G.I. 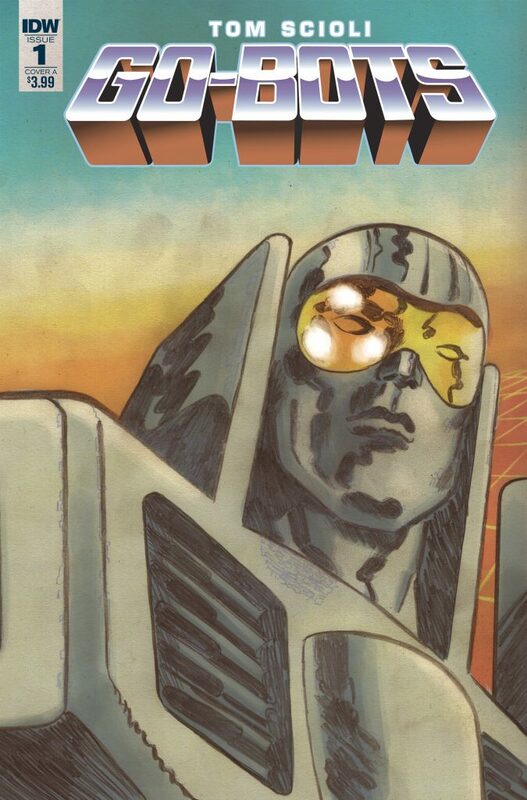 Joe miniseries, Scioli wanted to tackle Go-Bots precisely, in part, because the property doesn’t have the weight of entertainment history behind it; he can work almost from scratch in his world-building. Bringing grit and moral fables to the world of characters like Leader-1, Scooter, and Cy-Kill, Scioli has plans on making Go-Bots shine through the mire he intends on putting them through. 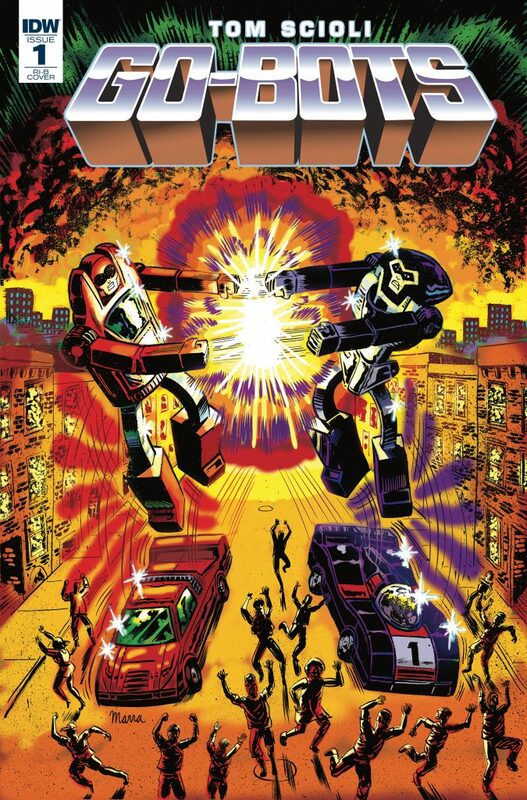 Mr. Scioli spoke with us recently about the genesis of the new Go-Bots miniseries, the idea behind the book, bringing a new sensibility to the older concept, and what we can expect to see moving forward. 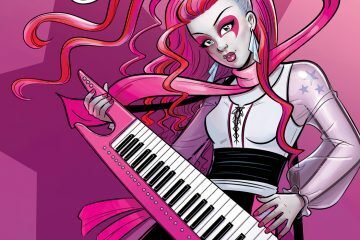 FreakSugar: How did you become involved in this new Go-Bots miniseries and what attracts you to tackling their story? 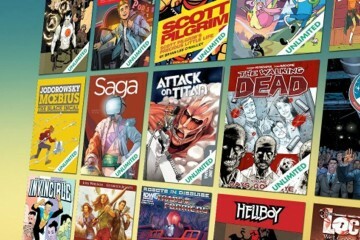 Thomas Scioli: I approached IDW with the idea! I was a big fan of the Go-Bots toys when I was a kid and felt that they deserved a good revival story. FS: For folks picking up the series, how would you describe the conceit of Go-Bots? And how does this book connect to the classic toy line and cartoon while building something new? TS: It’s created from whole cloth. There are some familiar names and characters, but since Go-Bots had been dormant for so long, it had none of the continuity baggage that other franchises might have. I was free to build something completely novel from the ground up. FS: The pages I’ve seen so far are gorgeous and have a grit that we haven’t see in Go-Bots in the past. What was your approach to the design of the series? TS: Grit is the right word. I want texture, a rich buildup of dirt like a fresco. Whenever they restore a painting on a church wall or whatever, they remove that buildup, and at first the colors seem bright and exciting, but it loses depth and richness. 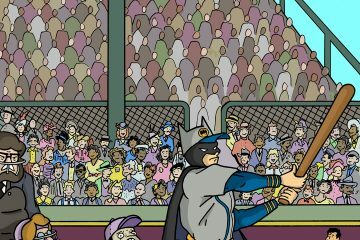 That’s how most comics today look to me. I’ve worked really hard to put that patina into my comics, to evoke old comic books and pulps, but also Michelangelo’s Sistine Chapel. FS: Go-Bots and Transformers often get inevitably and unfairly compared, especially considering the concepts are two different animals beyond the converting aspect. You’ve written Transformers before. What are things that you feel you can do in a Go-Bots story that you can’t with a Transformers story? TS: Transformers carries a ton of history and expectations. If you want to do something really different with them, you may have to swim upstream – but I’m really glad I did. With Go-Bots, it’s easier. I can take them where I want without such burdens. FS: Part of the concept of your miniseries is that there’s this idea where there’s a concern that the Go-Bots might be replacing us. What are some of the themes you want to explore in this miniseries? TS: The new Go-Bots series is a cautionary tale. It’s Aesop’s fables. We’re going in a really alarming direction – people do what their little pocket computers tell them to do, and things are already pretty far down a very troubling road. We need to be aware and make better decisions on a personal and a societal level. FS: Following up on that, you have said that you kept having ideas for Go-Bots, which is why in part this project came about. What are some beats that you know you coming popping up in your mind during those initial stages of planning? TS: There are a lot of surprises and twists – I try to stage my stories like a funhouse ride, so I’m excited to see the fan reaction. FS: Now that the miniseries is a reality, what’s been the biggest joy that you’ve received from working on it so far? TS: So far, it’s watching people’s eyes light up when I say I’m working on Go-Bots. It’s a toy from almost 40 years ago, but that word is still part of the public consciousness. FS: Is there anything you can tease about what we can expect to see in the miniseries? TS: Leader-1 and Cy-Kill have the most brutal fight I’ve ever seen in a comic. Scooter is going to break your heart. Turbo is going to be your new favorite comic character. 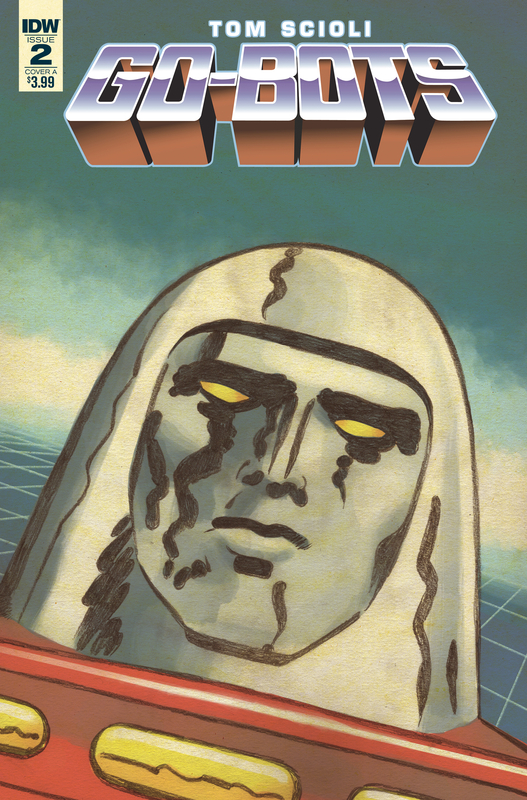 FS: Past this miniseries, do you have other Go-Bots stories you’d like to explore? Go-Bots #1 is on sale Wednesday, November 21st, from IDW Publishing.